By now, you’ve probably heard of the important role ‘gut health’ plays in everything from a strong immune system, healthy weight, improved brain function, good sleep and better absorption of essential vitamins and minerals. Nutrition research has discovered that there’s a whole ecosystem of bacteria in our guts, complete with a vast neural network, with mounting evidence suggesting that the health of our gut strongly influences our mood – meet the little brain in your gut. Specific components of foods have been identified that may improve gut health, and prebiotics and probiotics are top of the list when it comes to keeping your gut microbiome (simply, the good bacteria in your gut) in good shape. Both prebiotics and probiotics are available as dietary supplements, but as both are abundantly available as natural ingredients in everyday food, it’s not always necessary to take expensive pills or concoctions to tap into the benefits. Our gut microbiome has been developing from the moment we were born, and begins to diversify as we grow – higher microbiome diversity is better for our health, and the food we eat affects this diversity of gut bacteria. Bacteria have to eat, and they get their food from the food that we consume. While some foods are prebiotic, meaning that they break down into substances that feed the good bacteria in your body, others feed the bad ones. Avoiding fried and processed food, excessive antibiotics, refined sugar, gluten and alcohol can help maintain the balance, while prebiotic and probiotic food help keep the little brain in our gut full of the diverse bacterial community it needs to function. Prebiotics are natural food components that are linked to promoting the growth of helpful bacteria in your gut. Prebiotics may improve gastrointestinal health as well as potentially enhance the absorption of minerals, such as calcium. Prebiotics include fructooligosaccharides, such as inulin, and galactooligosaccharides. But don’t be put off by complicated scientific words: we can include more prebiotics in our diet by eating bananas, onions, garlic, leeks, asparagus, artichokes, soybeans, oats and other whole-wheat foods, dandelion greens, chicory root, and apples. Probiotics are foods that contain live microorganisms that nourish your biome. 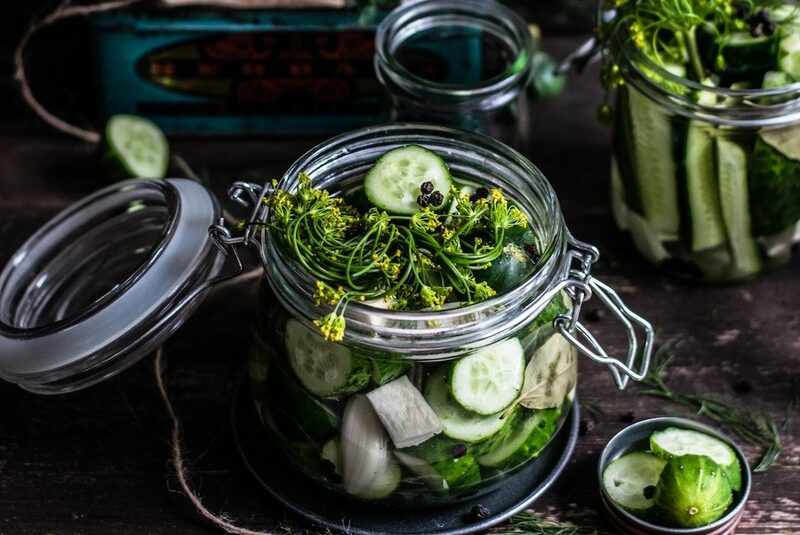 They’re foods cultured with the strains of healthy bacteria, including yogurt that lists strains such as Lactobacillus acidophilus and Bifidobacterium lactis, and fermented foods such as sauerkraut, kimchi, kombucha, tempeh, kefir and pickles. Changing your diet to include more prebiotic and probiotic foods can help maintain a good balance in the vital ecosystem of bacteria that lives in your gastrointestinal tract, and emerging insights continue to demonstrate the role they play in improving digestive health, reducing anxiety and depression and promoting heart health and general well-being. Keen to learn more about the health of your gut? Our Microbiome Screen Gut Analysis offers a comprehensive look at the overall health of the gastrointestinal (GI) tract. This test is one of the most popular assessments as it is a unique screening test tailored to the individual. This entry was posted in News & Updates and tagged gut, gut health, microbiome, prebiotics, probiotics.